With the College Lacrosse Championships dominating this past weekend, Major League Lacrosse only had two games, but they were very important for the standings. Rochester bested the previously undefeated Denver and Ohio stopped the visiting Florida Launch. These victories moved the Machine into third and the Rattlers into fourth place respectively. The Outlaws remain in first place, but now they find the Bayhawks close behind trailing by a game in second place. Even with the top teams starting to start to separate from the pack, several teams remain within one or two games of the top four and have a shot at joining the final four teams at the end of the regular season. 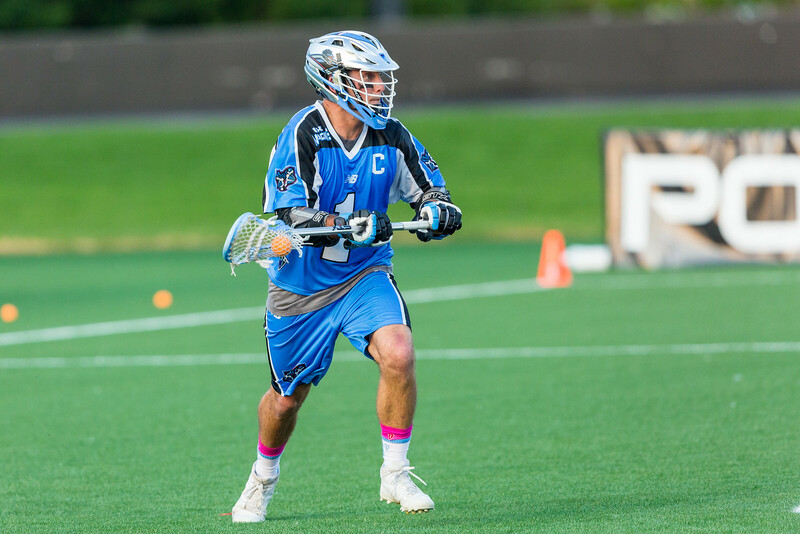 The Ohio Machine finally found their first victory at their new home as they dominated the Florida Launch. The game started as a closely contested affair with the Machine taking a 4-2 lead at the end of the first quarter. The second quarter proved a much different affair as Ohio took advantage of a dormant Florida offense by scoring four goals to the Launch’s one. Florida’s offense continued to struggle for the remainder of the game as they only scored two goals in the third and fourth quarters. The scoring woes for the Launch also showed as they went 0-4 on extra-man opportunities. Ohio’s offense continued rolling, scoring six and five goals in the last two quarters of the game, and going 3-4 on extra man-opportunities. The Machine’s offense outshot the Launch 43-21, but outside of offense, stats remained close. Ohio collected five more ground balls (39-34) and the face-offs were tied at 15 wins for each team. Marcus Holman (6G/1A), Peter Baum (4G/1A), Jake Bernhardt (3G/2A) and Mark Cockerton (3G) led Ohio in scoring. Kieran McArdle (3G) and Jimmy Dailey (2G) made up the majority of Florida’s offense. Despite making 24 saves, Launch goalie Austin Kaut took the loss while Kyle Bernlohr made 14 saves and won defensive player of the week honours. Florida travels to New York to take on a Lizards team loaded with offensive firepower and looking to get above .500 and get back to the championship. Ohio goes on the road and faces Chesapeake in a battle for second place behind Denver. Rochester proved to be the team to defeat Denver for the first time this season in the closest game of the weekend. The Rattlers took the lead at the end of the first quarter thanks to Kyle Denhoff’s two-point goal. The Outlaws stormed back in the second quarter to take a 10-8 lead at halftime. Rochester got back into the game by outscoring Denver 4-3 in the third and remained within a goal of the Outlaws. Both teams kept the game close in a hotly contested fourth quarter until Jeremy Boltus tied the game and then scored the game winning goal moments later to secure a Rattler victory. The late game heroics earned Boltus offensive player of the week honours. Denver finished the game with a 20-34 advantage on face-offs as Thomas Kelly and Nick Ossello battled Drew Simoneau, but Rochester collected three more ground balls (37-34) and took one more shot (30-29). To mirror the closeness of the game, Jack Kelly made 15 saves while John Galloway finished the game with 14. Mike Bocklet, Tim Barber and Eric Law led Denver with four, three and three goals. Jordan Wolf and Jeremy Boltus led the way for Rochester with five and four goals. Denver travels to Boston and faces a Cannons team looking to make it to .500 and work its way into the championship mix. Rochester hosts Chesapeake in a match of number two versus number four. Look for every team to have a different look as MLL held its collegiate draft and begins signing rookies for this weekend. Teams in the middle of the standings are well within striking distance of the top four and this league proves time and time again that anyone can win at any time. Look for even more action as teams try to get better and integrate their new talent.